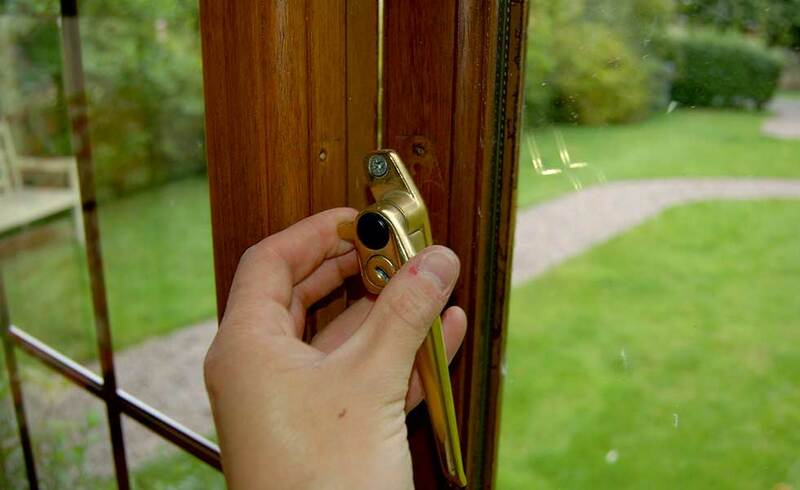 A gloss paint finish on interior and exterior woodwork is durable and looks great. It doesn’t have to be brilliant white, either. You can get pre-mixed gloss in dozens of shades, or mixed to order. Gloss paint comes in three forms: liquid, non-drip and one coat. 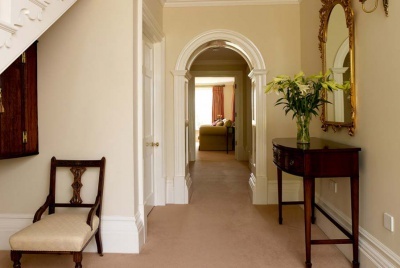 Many professional decorators use liquid gloss over undercoat. 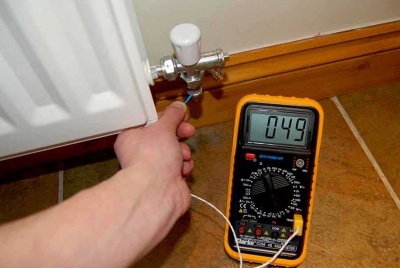 Non-drip is good if you are doing lots of vertical surfaces, such as doors and architrave. One coat creates a good-looking finish very quickly and is ideal if you want to put a fresh coat on paintwork of a similar colour. For this job we’re painting over a darkstained window frame to lighten up a gloomy room. We’re going to use the undercoat and liquid gloss method, but many of the steps below can be used to help you get a great finish with any gloss system you choose. Preparation is key to a good finish with any paint product, but with gloss you’ll get noticeably better results if you spend a little extra time preparing the surface. The simple step of rubbing down the undercoat with wet and dry paper, for example, helps the gloss to flow on better, giving a shiner finish to the job. Keep things clean. 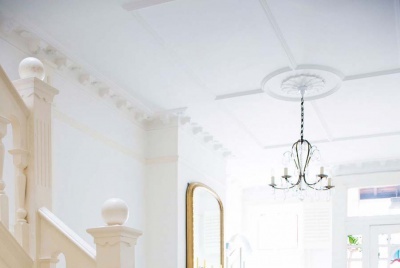 Specks of dust, pet hair and flying insects can all conspire to ruin the best-applied paint. A vacuum cleaner and a tack cloth will be your best defence against them. Arm yourself before you start. After all that, the actual gloss painting is straightforward. Follow the tips in step 10 and you’ll get a great finish. 1. Lay new plastic disposable dust sheets in the area you plan to work in. If you use material dust sheets make sure they are completely dust free. 2. 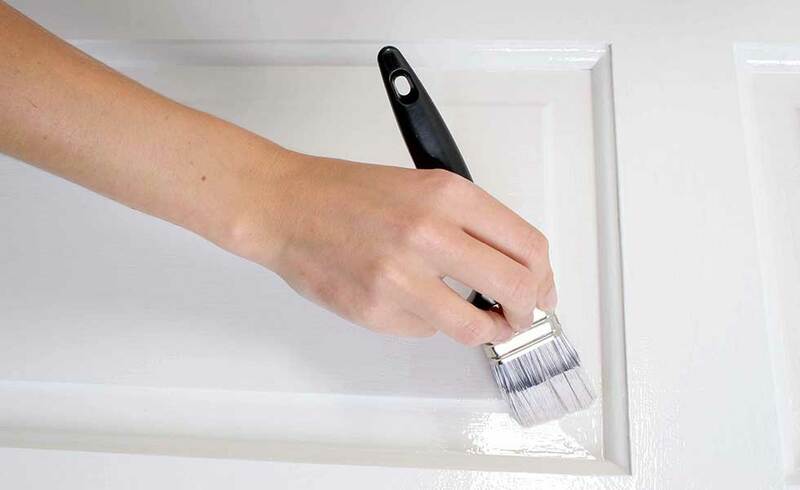 Its much easier to paint a surface thats clear of any interruptions, so remove any latches and handles. 3. 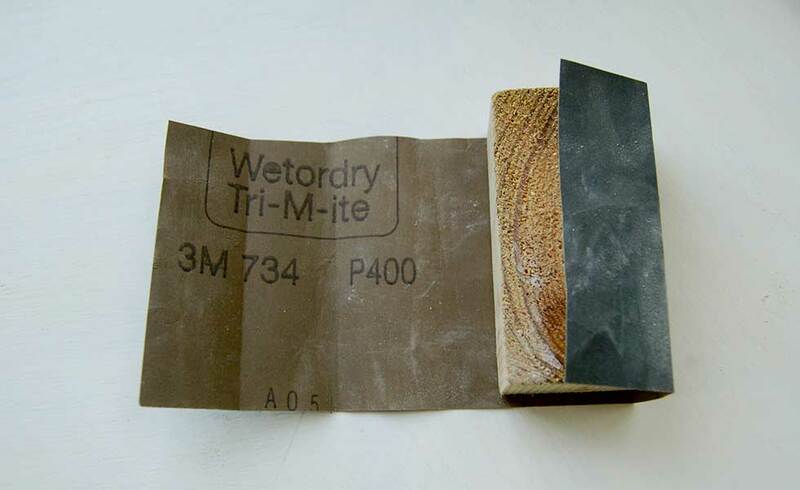 Use 240-grade sandpaper (wrapped around a sanding block, where possible) to put a key onto the surface so the undercoat will adhere to it. Always sand in the direction of the grain. This surface had a couple of coats of wood stain on it and it was straightforward to key up. 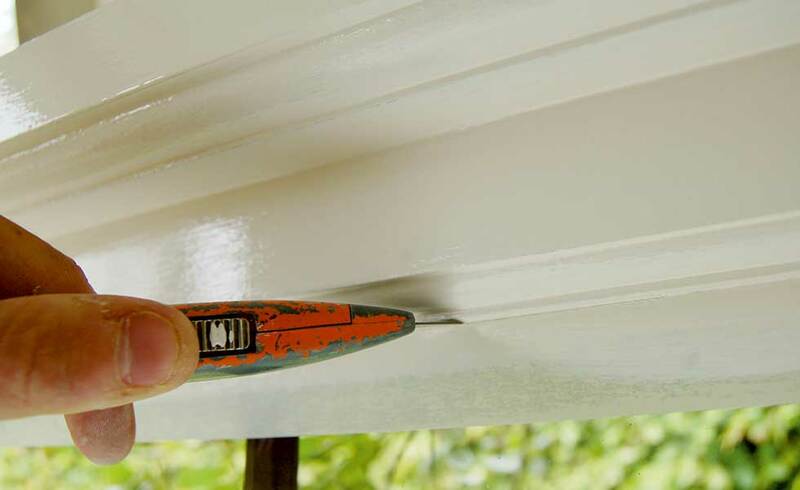 If the surface you plan to paint has several layers of old paint on it, you may have to start with a coarser grade of paper to get rid of any imperfections. Always finish off with a finer grade paper like 240 or you’ll end up with scratches that will show through the undercoat and top coat. Wear a dust mask for this part of the job. 4. 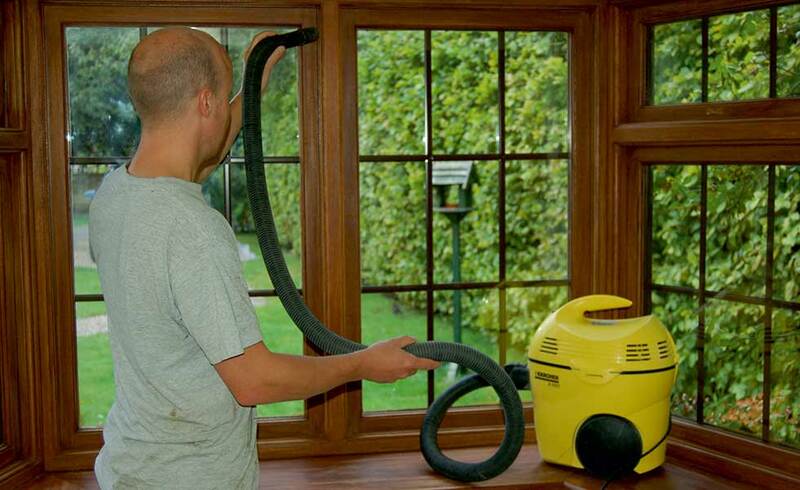 Once you’ve finished rubbing down, use a vacuum cleaner to get rid of the rubbing-down dust. 5. 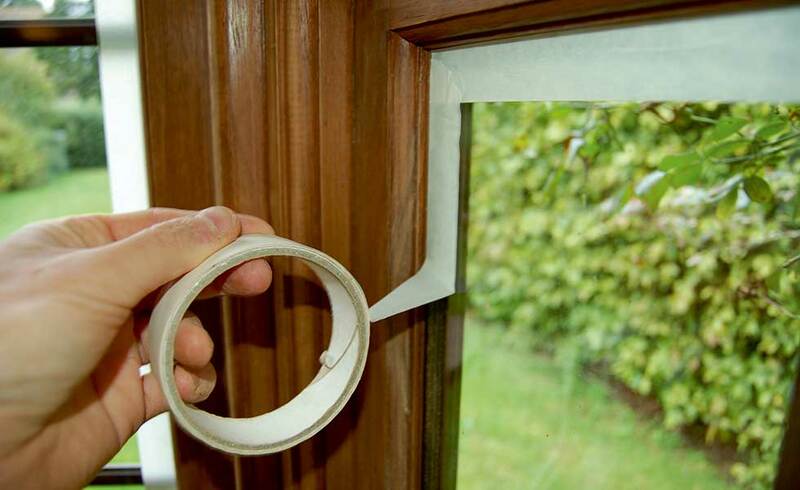 If you’re painting a window, or a door with glass panels, mask up the edges of the glass with 25mm masking tape. Use a sharp Stanley-type knife to cut the tape neatly into the corners. This will stop any paint getting on the glass and allows you to flow the paint on, rather than the tentative daubing thats associated with cutting in. 6. 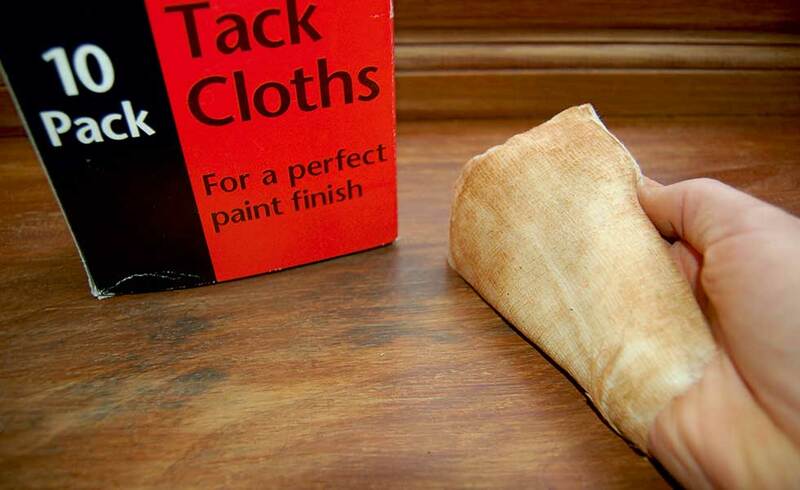 Use a tack cloth to remove any dust before you begin painting. This window frame looked clean; the tack cloth proved otherwise. 7. 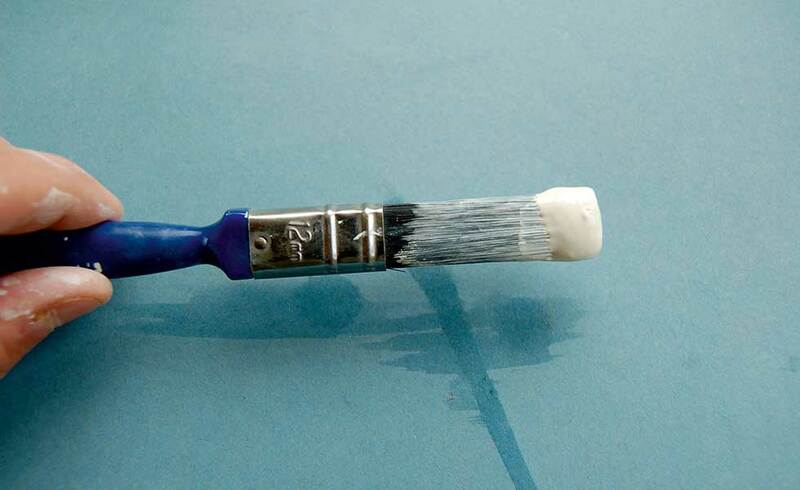 Brush sizes 12mm, 25mm and 50mm will cover most undercoating and glossing jobs. 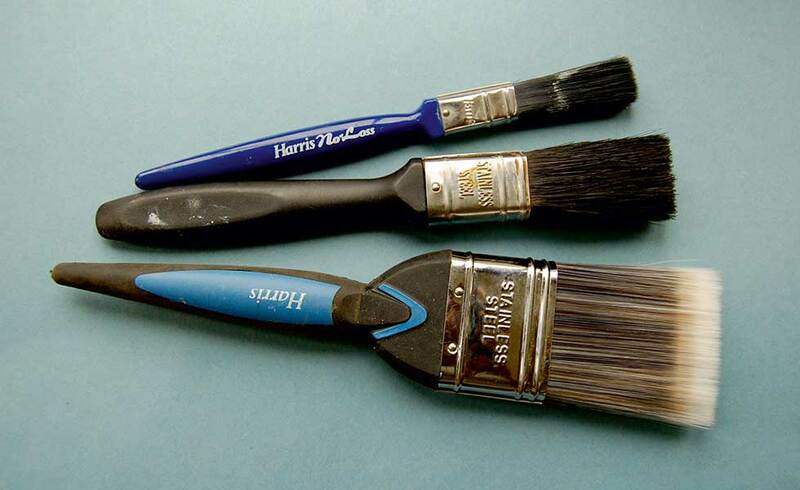 The better the brush the better the finish, so buy the best you can afford. 8. Open and stir the undercoat. We find its better to start painting in the middle and work outwards to avoid putting brush marks in paint that is starting to dry. On a window frame, that means starting on the wood thats closest to the glass. Once the undercoat is dry (normally two to three hours, but check on the tin), apply another coat on top. Two layers of undercoat should cover any darker paint finishes underneath and also helps to build a better base for the gloss coat. 9. Leave the second undercoat to dry for 24 hours and then rub it down all over with 400-grade wet and dry paper (used dry) wrapped around a sanding block. This process gets rid of any surface imperfections ready for the gloss coat. Use a tack cloth to get rid of the rubbing-down dust. 10. Stir the gloss paint. Load the brush with gloss as shown in the picture and start painting in the middle and work outwards (as in step 8). Allow the gloss to flow out over the surface as you paint – don’t be tempted to over brush the paint or you’ll leave marks. Keep an eye out for runs in the paint (corners are particularly prone to them) and brush them out immediately. 11. Let the gloss harden for at least 24 hours. 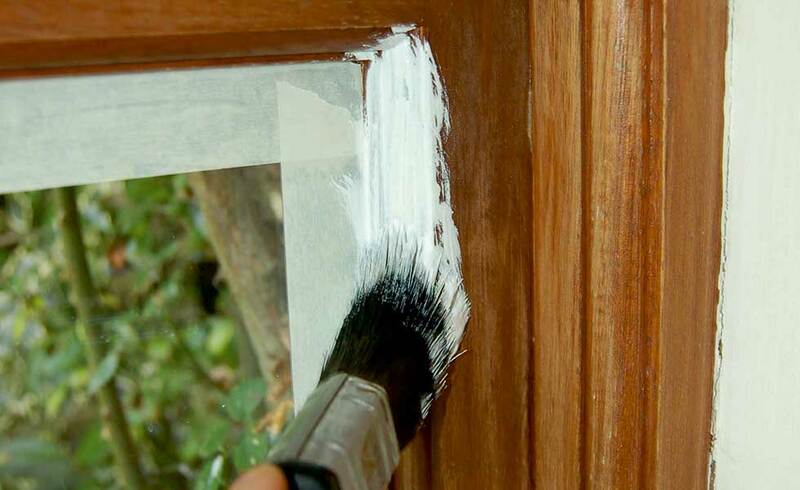 Avoid closing painted windows and doors completely for this time if possible, otherwise the paint may stick. If you’ve put masking tape on any glass, run a Stanley-type blade along the join between the tape and the wood. This prevents the tape from pulling up the paint as you peel it off. Replace the latches and handles and the job is finished. NEVER(!!!) stir Gloss paint – contrary to what it sames at point ten. Open tin, pour off any excess runny liquid that may have accumulated (especially if it is a tin you have opened beore), then start painting. Do stir your gloss throughly dispite what this numpty says, make sure all the heavy stuff at the bottom off the tin is stired in what i tend to do is with a brand new tin tip it upside down (with top on ovbiously and un opened) stick it next 2 a raditor for 10 mins this will thin the gloss down and make the application 10 times easier. put a nice even coat on not to thick but defo not 2 thin and all brush marks will dry out. check for runs after 10 2 15 mins and heyyy presto! This applies to liquid gloss, non drip gloss doesnt need to be stired or the one coat crap! 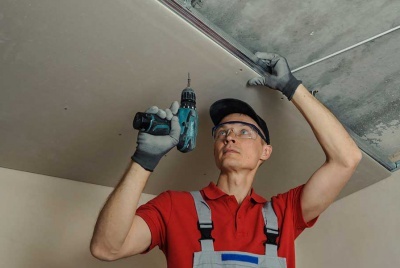 This article is very helpfull but my problem is how do I cover up all the little dinks etc in the door frames where the previous people have moved out. I find filler just falls off and painting over them just highlights them more. Most of them are on the edges of the frame. Hats off to the professionals! An alternative to filler is to mix some very fine saw dust (from MDF is best) with PVA glue till you get a similar texture to filler. I often use this when I have no filler to hand and it works perfectly. As soon as its has hardened (few hours depending on the amount) paint straight over it and as the paint dries, it will hold everything in place. I have put primer, undercoat and now two coats of white gloss. It looks a little like looking at the moon. Whilst it feels smooth there appears to be crater like rings in the finish. Any ideas what caused it and how do I get rid of them on the third coat ? hello Alan, I believe this is a problem where moisture is present prior to or during painting on a solvent based paint. Obviously oil/spirit and water don’t mix so the result is the dispersed solvent on water. 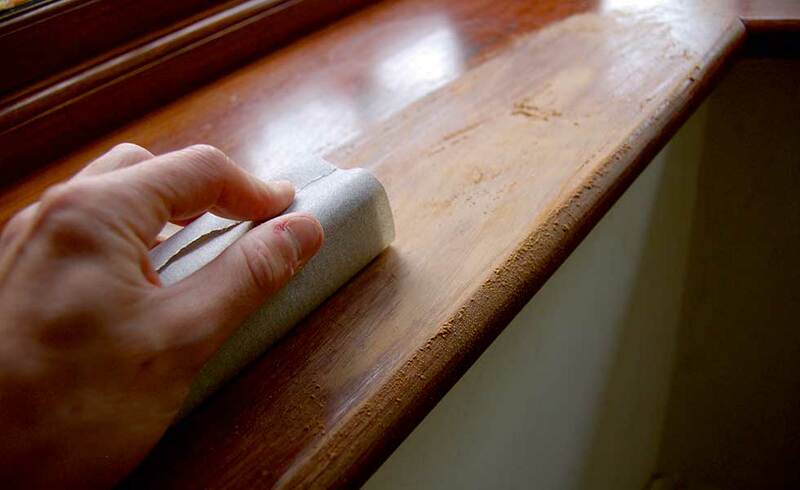 Is the wood/brushes/sanding paper damp? unfortunately I have no quick fixes to remedy this. 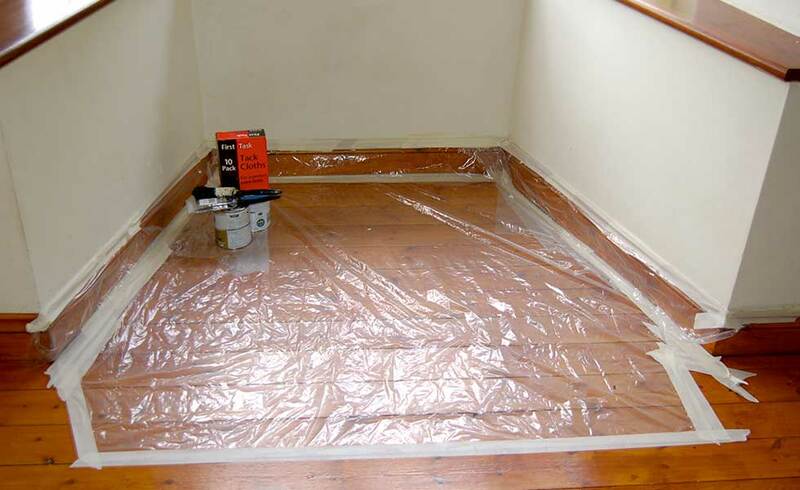 You may need to strip the paint and start again allowing the wood to dry. Sorry to be bearer of bad tidings. But good luck though. On the plus side, if it’s all bubbly it’ll just all peel off easily (no scraping) and you can start again. Hello, can I paint brown gloss over black gloss? Our garage doors have been painted with black gloss and I want to paint brown gloss around the window edges. Any suggestions? Thanks for your help! No. If you attempt to cover black gloss with brown gloss you will summon dark forces that will plague your garage for ever! Dont do it, just use a decent dark grey undercoat. Good luck. May the force be with you! i have glosson all my wood do i need to prime and undercoat, and how do i know if the gloss is water baised or oil based. I would be very greatfull if any experts out there had some useful tips on removing gloss paint? I just painted some exterior wall with masonry paint and adjoining windows with non drip gloss. I used masking tape on the windows edges and on the masonry painted walls ( when dry ofcourse) that were next to the the gloss window edges to be painted. After painting the gloss and removing the tapes, the gloss has run under the masking tape leaving messy edges on both the windows and newly painted masonry walls. Any tips to tidy the runs would be appreciated – or is it simply a case of sanding down the masonry paint edges free from gloss runs and repaint the masonry sides?? I heard using exterior gloss for interior wood can give it a longer lasting more durable finish, anyone any experience of this being true??? Also I would like to return my banister and spindles to a bare wood finish, is there any feasible way of removing the gloss or would this just be a nightmare job?? my past experience of stripping paint is it just creates a mess and you end up buying new after wasting hours. Thanks for the informative post, I have a question for which would be best to use please. Basically, I would like to give a fresh coat of paint on my internal doors (white) and would like to know which you would advice you use, non-drip or one coat gloss? Found this really helpful with my project this weekend, as I had 10 doors to paint, still haven’t quite finished yet, but it certainly helped me to get the preparation right. hello i recently glossed my oak cabinet/sideboard white it looks lovely but it dried with lumpy streaks in it. I have now decided to gloss it black to make it more modern what is my best way to prepare and would i be able to gloss with black straight over white? I am a paint sprayer by trade and I am keen at D.I.Y. I am going to tell you slightly different from many of the posts i have read. We are going to use an oil based system as opposed to a water based paint system which may require a different process?